Providing charter buses to the Flint and surrounding areas. To fit your passenger amount perfectly. Featuring a newer fleet of highly maintained specimens, you'll find that our buses amenities and comfort far exceed the price! Travel in comfort and happiness. Live it up on the road with the most impressive array of features you could imagine. You'll find that our drivers are competent, friendly, and classy. Their common practice is to be early, and to keep you safe! You'll be able to relax knowing that you've got a professional designated driver at the wheel at all times. Our buses are not only affordable and reliable, they feature the most comfortable accommodations out there! Use the company with the best comfort. Sink into plush premium seating and enjoy comfortable conversation. 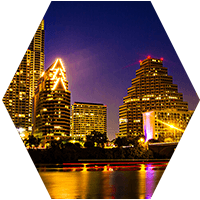 Flint Charter Bus is your number one option in choosing reliable, flexible, and cost effective charter buses. Our service area extends throughout a greater portion of Michigan's lower peninsula, so feel free to contact us regardless of where you require service. That wide service area is a major perk for those who really love to travel far and wide. If other companies have shut you down because you wanted to travel outside of their service area, don't hesitate to give us a call and find out how much better it can be when you remove the boundaries and open up to a limitless travel experience. Why keep it short and sweet when you can travel without limits? In doing business with us for the first time, you'll find that you'll never need to look elsewhere for charter services ever again. We offer a fleet of updated, newer, well maintained buses. The best part of all, is that they are taken care of by the best crew of fleet mechanics in the business, and driven by knowledgeable and friendly drivers who have no problem in going the extra mile to insure your safety and satisfaction. We have them inspected and maintained at regular intervals, and cleaned after each and every trip. Since we require that our customers do not smoke, they stay fresh and clean, just like new, ready for you to board and enjoy them. When you give us a call, you'll find the friendly voice on the other end will be that of an affable and expert reservation specialist. They are knowledgeable, affable, and always happy to provide assistance. In fact, you'll find that the reason we are a cut above is due to the awesome support staff we have. They make doing business with us the ultimate pleasure that it is. 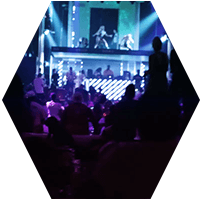 They know all about planning elegant wedding transportation as well as putting together a wild night out for bachelor/bachelorette parties or bar hopping. They know which vehicles are best for particular types of trips too, and they'll be happy to help you choose the right one. No matter what type of celebration you've got in mind, you can rest assured knowing that we are the company to handle your transportation needs for it. We do it all, from once-in-a-lifetime weddings to one-wild-night bachelor/bachelorette parties. 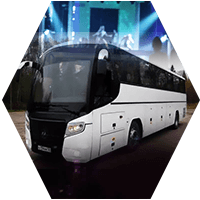 Concerts and sporting events are made all the better when you hire our transportation too. The ultimate in tailgating! Proms and graduations are a frequent request from parents who care enough to give their teens the very best. And we don't just mean when it comes to having a good time! We're talking about knowing that they are safe on the road, in the hands of a professional chauffeur instead of at the mercy of their careless friends who may text and drive. We have worked studiously, through the years to find and retain great people to work with. When you have a mantra of working hard, customer satisfaction, and reliability; it really helps to have like-minded people working towards the same goal with you. We are fortunate to have been able to accumulate such wonderful talent to serve you, and look forward to showing off our ability to provide a world class level of service to whatever travel requirements you might have. We'd love for you to get in touch with us an tell us how we can make your big night out an even bigger success than it already would have been. We're all about adding value and we truly look forward to doing business with you now and in the future. 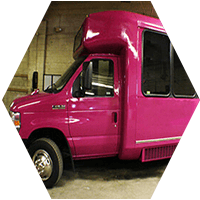 For all of your comings and goings in and out of Flint, Michigan, you can count on us to provide the most reliable transportation options for your group. 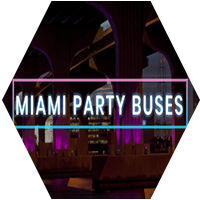 Call us today to find out more about our party packages and transportation features, and give us a chance to make your upcoming event into a truly unforgettable memory. 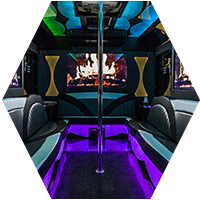 When you're just looking to go out for a great time, Flint Party Bus is Flint's #1 choice in Party Bus service and selection! A highly recommended partner of ours that is reliable and exciting, this is definitely one that you can count on if we happen to be booked on your desired date. This is a company that we feel very comfortable recommending to you. For the ultimate in classy transportation, look no further than Flint's premier supplier of limousine and limo services. For all types of elegant outings and events, there is no better limousine company in the area than this one. World class limos, outstanding chauffeurs, and prices that will put a smile on your face and keep it there.